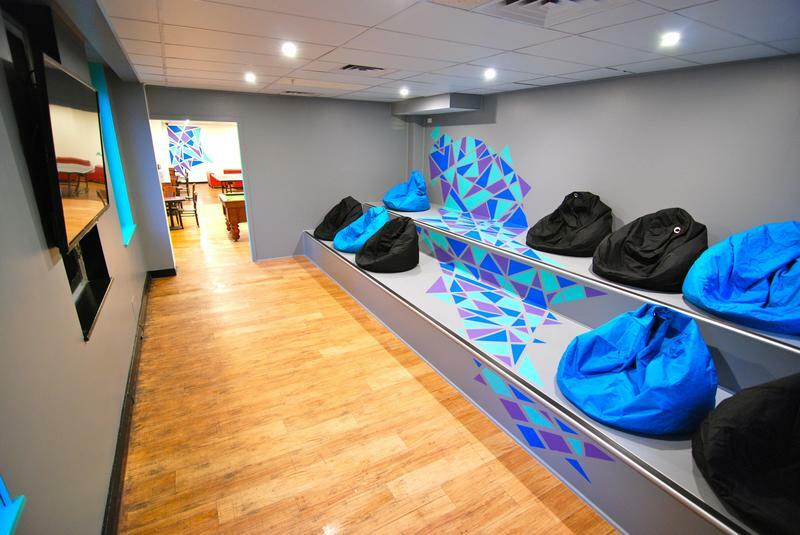 Located amongst Melbournes funky cafe and shopping district and only a few minutes walk away from South Bank, Crown Casino and the MCG we are perfectly located for all travellers needs. 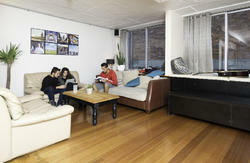 We offer great value accommodation in 4 bed dorms, twins/doubles and ensuite rooms all including free breakfast. 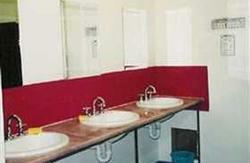 Our facilities are unbeatable with a massive self catering kitchen with huge walk in refrigerator, 2 TV rooms with free movies available, in house Global Gossip Cafe, games area and also one of Melbournes Busiest Backpacker bars, The Joint Bar! All guests must be over the age of 18yrs unless accompanied by a parent. Our reception is 24hrs except for the following times: 2-3pm, 10-11pm and 3-4am. However service is available 24hrs from The Joint Bar if urgent help is needed during these times. Check out time is 10am sharp. You can catch the Skybus from Tullamarine airport to our door for $17oneway/$28 return. 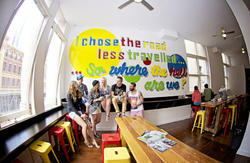 We are also across the road from Flinders Train Station that will take you from Southern Cross Station to us.